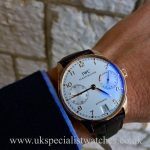 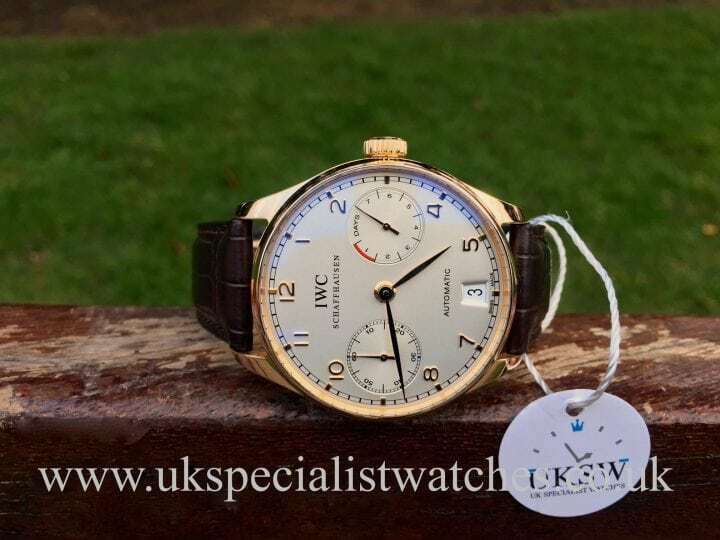 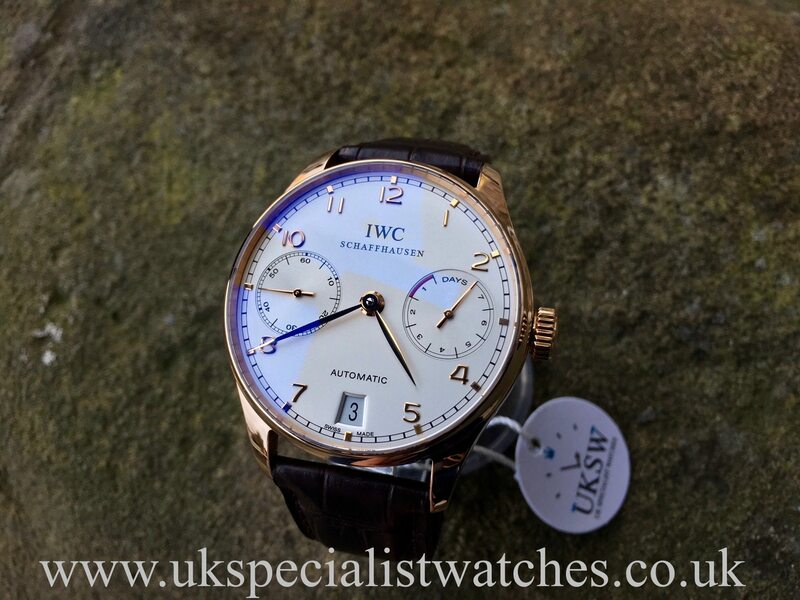 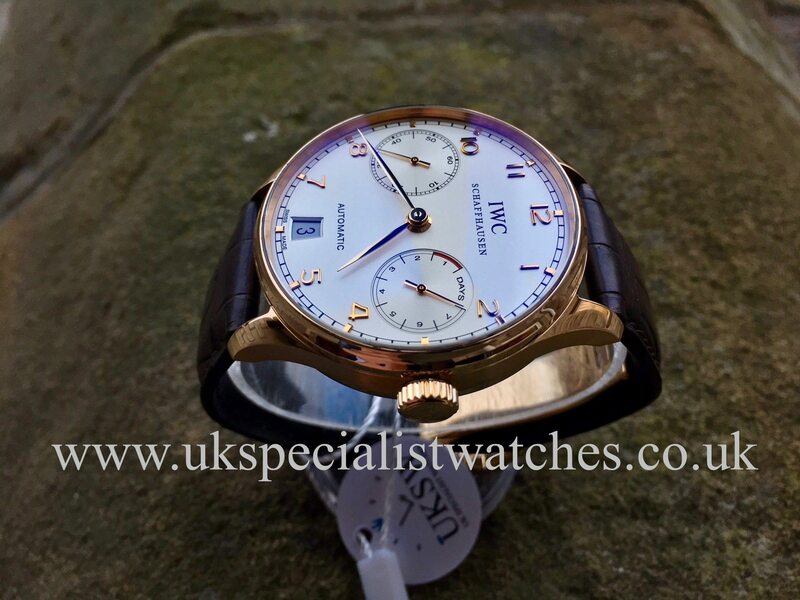 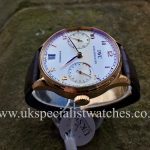 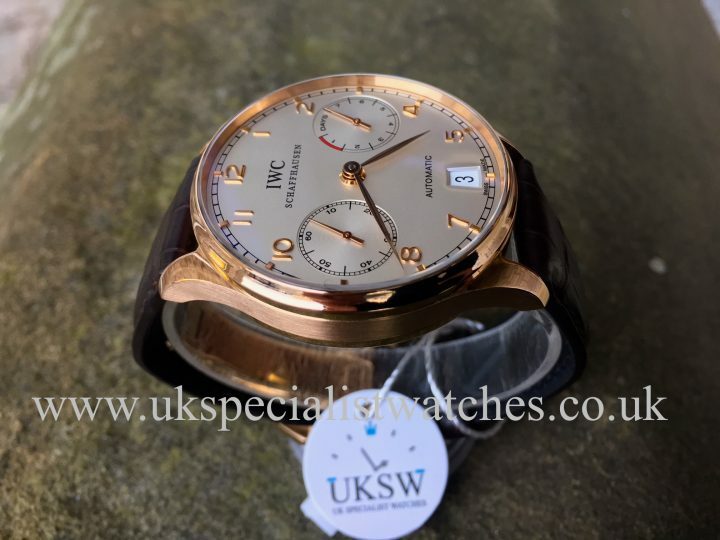 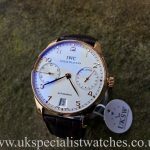 IWC Portuguese 7 days IW500113. 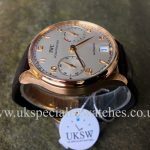 Solid 18ct 42mm Rose Gold case. 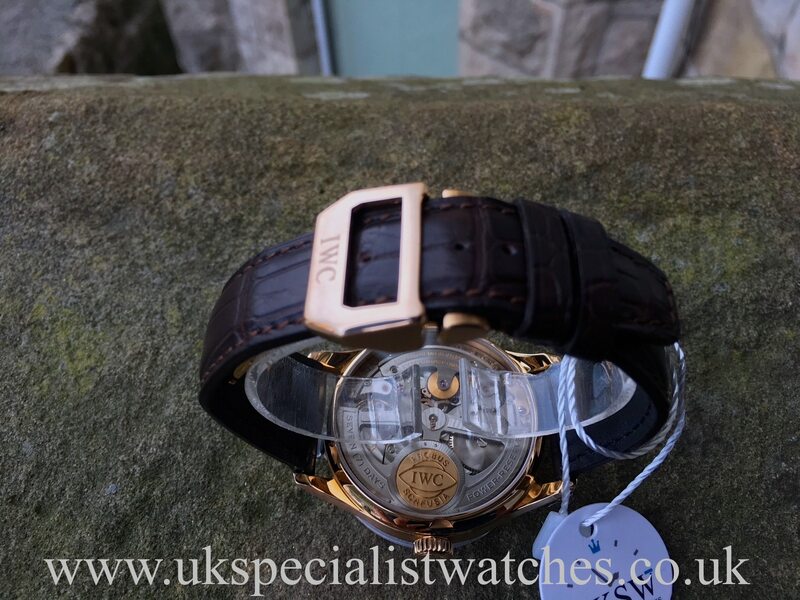 Silver Ivory dial with gold arabic numerals. Large sub dial at the 3 o’clock which indicates the 7 Day power reserve and small seconds at 9 o’clock also the date displayed at 6. 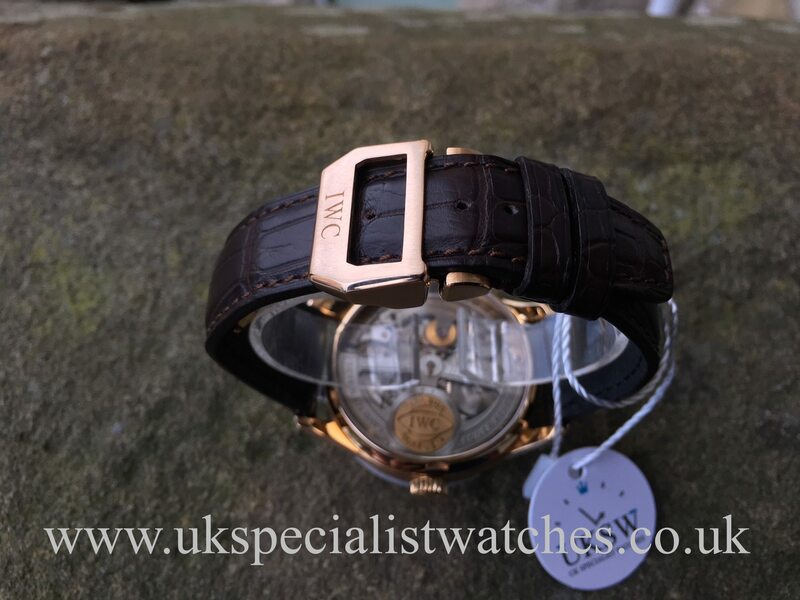 Fitted to a new IWC Brown leather croc strap with a solid 18ct rose gold IWC double folding clasp. Powered by a automatic movement. 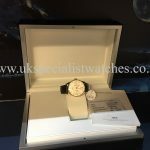 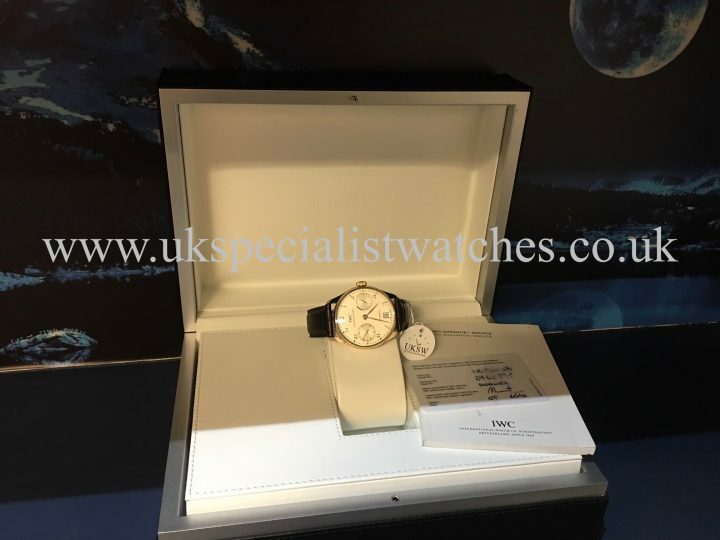 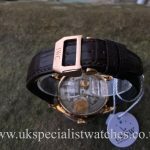 This watch is in absolutely immaculate condition and comes complete with original box, booklet and guarantee card dated 2010. 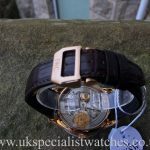 Replacement cost today is £19750.